Sequitur Labs Inc. and NXP Collaborate to Simplify IoT Security | Sequitur Labs Inc.
SEATTLE, November 21, 2017 /PRNewswire/ - Sequitur Labs and NXP’s Digital Networking products group signed a MoU to streamline and simplify use of hardware security for use in networking, edge processing and IoT devices. 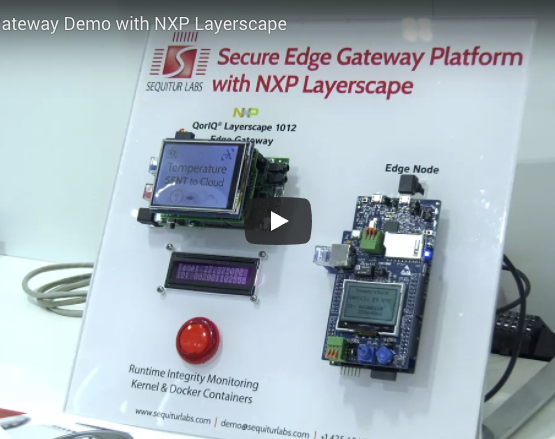 Recognizing the need for stronger security for networking, edge and IoT systems, NXP and Sequitur Labs today announced they are working together to make it easier for IoT solution developers to make use of the advanced Trust Architecture technology available on NXP’s QorIQ® Layerscape processors. Sequitur Labs’ product EmSparkTM is packaged software that leverages NXP Trust Architecture which provides hardware roots of trust for platform security with features like secure-boot, key-management, secure storage, tamper-detection, run-time integrity checking and hardware isolation, in addition to support for random number generation and cryptography. Trust Architecture is an integral part of every Layerscape SoC. EmSpark also provides a suite of pre-built security applications designed to address the most critical security use cases. It allows developers and device OEMs to focus on developing their applications, gain time-to-market efficiencies, and lower the cost of security implementation. “The only way to get device makers to adopt advanced security is to make it easy—so easy that it should become a no-brainer. NXP strongly shares that belief and the joint solution leaves no excuses for not adopting stronger security for embedded devices,” said Philip Attfield, CEO Sequitur Labs. The QorIQ® communications processor portfolio provides scalable performance and security from the smallest form factor, power-constrained networking and industrial applications to new virtualized networks and embedded systems requiring an advanced datapath and network peripheral interfaces. [...] the joint solution leaves no excuses for not adopting stronger security for embedded devices. 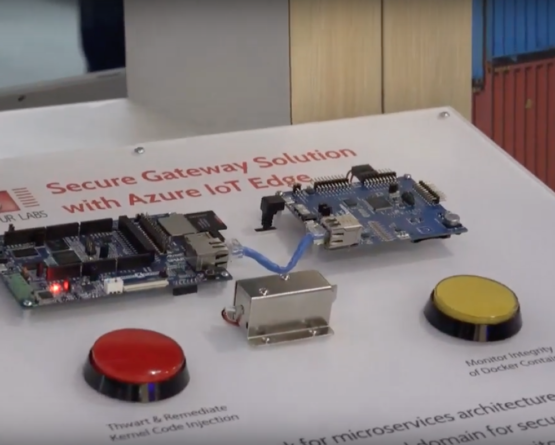 Sequitur Labs is developing seminal technologies to improve trust in a connected world, reducing the cost and complexity to build secure embedded and IoT devices. Sequitur’s products span a range of disciplines required for trusted computing, from boot through the full device lifecycle. Sequitur’s security solutions provide real business value to device makers, such as reducing BoM costs, protecting revenue by thwarting IP theft, improving product reliability and reducing liability, and improving device lifecycle management processes. To learn more about Sequitur Labs' security platform, visit us at www.sequiturlabs.com or send an Email.